The Simpson Strong-Tie LSSJ field adjustable jack rafter hanger features a hinged seat that adjusts to typical rafter slopes. 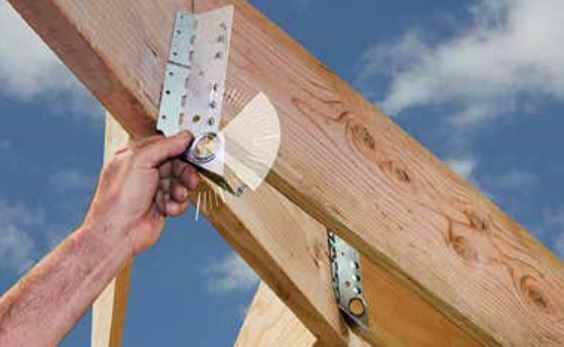 Simpson Strong-Tie has introduced a hanger that easily connects rafters to hip/valley beams in roof framing. The Simpson Strong-Tie LSSJ field adjustable jack rafter hanger features a versatile, hinged seat that easily adjusts to typical rafter slopes. The gripper seat frees up a hand for the installer at the time of attachment. The hanger attaches to the open side of the jack rafter for easier fastener placement. The LSSJ can be installed after the rafters are set into place so a framer doesn’t have to pause during installation. The LSSJ is sold in two versions—skewed to the left or right—and is available in three sizes.